This is the world's biggest independent charity devoted to cancer research, as this organisation has more than 40,000 volunteers, nearly 4,000 employees, and is one of the most influential NGOs in the UK's public sphere. Cancer Research was founded in 2002 as a result of the merger between the country's two largest cancer charities. The organisation funds pioneering research on more than 200 types of cancer and is a global leader in cancer drug development. In addition to hiring talented researchers and scientists, Cancer Research welcomes volunteers at its shops, offices, and events. Internships are available to students throughout the UK's largest cities, and cover roles that go from marketing to community engagement or IT. Individuals interested in volunteering can find fundraising ideas and a set of free tools at the charity's website. This NGO also organises a number of sports challenges, including half marathons, the Thames Path Challenge, triathlons, and night walks. The British Heart Foundation has been fighting cardiovascular disease and informing the general public about this condition since 1961. During the decade of the 1960s, scientists and medical professionals became concerned about the growing rates of death caused by heart disease, and some of them decided to devote their skills to discovering the causes and treatment of this often-fatal condition. Every year, this organisation funds research projects for the value of £90 million. Research takes 75 per cent of the charity's resources and the rest is allocated to campaigning, awareness raising, and educational initiatives. Volunteers can contribute by running one of the nearly 700 charity shops that BHF has all over the country. Event volunteers can help by cheering at sports events, helping plan and organise the charity's sport challenges, or working as fundraisers at one of BHF's Heart Town one-day events. More details are about volunteering are available here. The British Red Cross was founded in London in 1870, at the height of the armed conflict between Prussia and France. The founders stated that their aim was to help the sick and wounded during times of war, but over the years the role of this NGO has evolved and now covers a large number of high-impact health projects nationwide. The British Red Cross is now one of the most influential organisations in the prevention of HIV. The organisation has a dedicated HIV programme in the United Kingdom, which aims to educate the public on this condition, support those affected by it, and promote timely testing and diagnosis. Volunteering opportunities exist in the form of internships, office roles, fundraising, work in charity shops, and educational volunteering, which focuses on fighting the stigma associated with HIV and on offering accurate information on sexual health issues. Young volunteers are welcome to contribute by helping organise events at schools and community centres. Taking part in the Red Cross Week is another useful way of getting involved. Macmillan Cancer Support has been a pioneering organisation in the field of health care in Britain. This charitable organisation was founded in 1911, well before the NHS was established and therefore becoming a crucial source of information and support for anyone affected by cancer in the UK. Since it was first created, Macmillan has been committed to campaigning for better care standards, training specialist nurses, supporting families affected by this devastating disease, and providing economic assistance to patients who are unable to cope with the financial implications of cancer. Volunteers are required to be approachable, hands-on, and compassionate. Opportunities exist in fundraising campaigns, internship schemes, and e-campaigning. With the help of volunteers, Macmillan organises various events, such as the London Marathon, the World's Biggest Coffee Morning, as well as sports challenges and celebrity auctions. Find out more about how you can volunteer or contribute here. 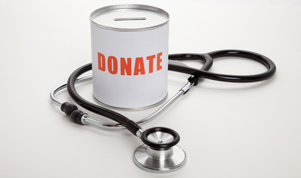 Charities involved in the health sector do not only represent those who suffer physical ailments. Since its creation back in 1949, the Mental Health Foundation has been campaigning and supporting those who are affected by mental health disorders. This charity was founded by Derek Richter, a neuropsychiatrist who went on to work for the World Health Organisation. Since the early days, the Mental Health Foundation has championed for a better understanding of mental health disorders, which have been subject to much stigma and misinterpretation. The Foundation devotes much of its work to informing and shaping social policy, and it also funds a number of research and evaluation projects. The groundbreaking work of this charity is wide-ranging and includes topics like dementia, anxiety, learning disabilities, depression, post-traumatic stress in ex-service personnel, and self-harming behaviour. The Mental Health Foundation is supported by fundraisers, monetary donations, individual volunteers, and businesses. The role of volunteers ranges from office work to event organisers. To find how more details on how to get involved, visit www.mentalhealth.org.uk/get-involved.